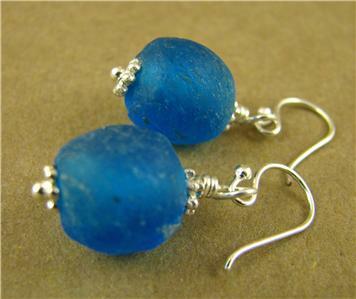 Home › Bright blue African glass earrings. Sterling silver. Handmade. 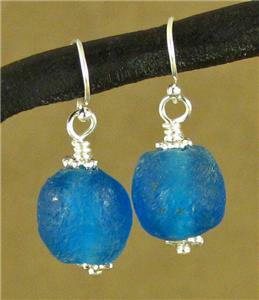 Bright blue African glass earrings. Sterling silver. Handmade. 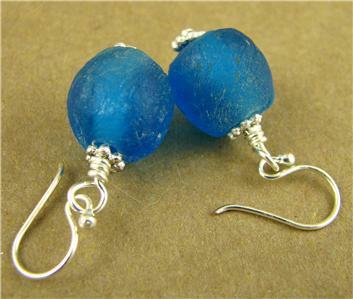 This is a striking pair of African bead and silver earrings. 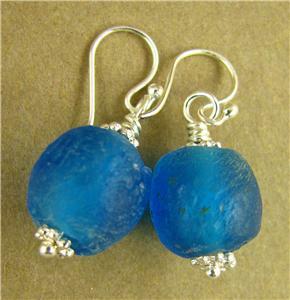 The African beads are bright blue handmade glass beads. The ear hooks and the silver wire inside are all sterling silver. 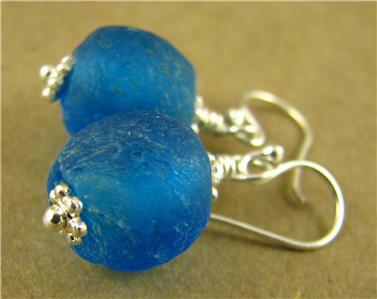 From the top of the hooks, the earrings are 3 cm long. 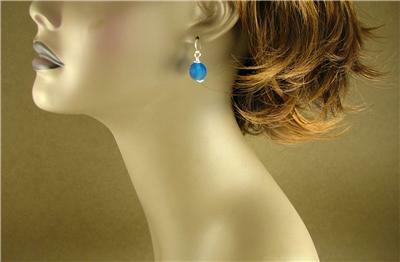 I am the designer of these earrings and I have made them with my own hands. I have been making my living exclusively from designing and making jewellery for 9 years. I travel every year to seek out old and tribal silver from Asia and India along with semi-precious stones. Back at home in Brighton, England, I make these loose pieces up into beautiful and unusal jewellery.